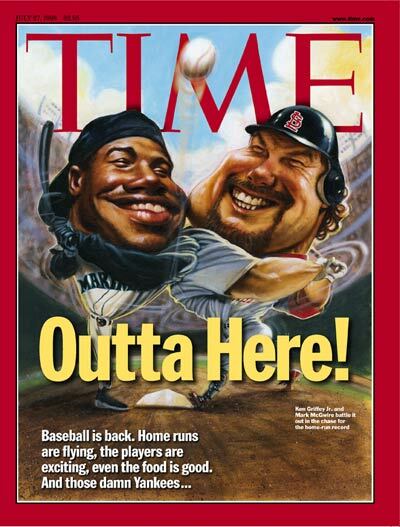 As McGwire and Griffey chase the home-run record, baseball regains its old luster. Will it last? Hey, Guys, Watch Your Backs--Here Comes Sammy Sosa! Now that Ken Starr has the go-ahead to question the President's Secret Service agents, can they tell him what he wants to know? Julian Bond restores the focus of the N.A.A.C.P. Clinton Spoke, but Did Anyone Understand? Psssst--Wanna Buy the Latest in Bootlegs? Where, O Where, Did They Put the Future? Who says family values and numbing, mindless violence don't go together?